Pardot and Marketing Cloud have a lot in common. Both are automation and digital analytics platforms and, confusingly for some, both are owned by Salesforce. When you compare the features of Pardot, with the features of Marketing Cloud, you’ll see a lot of the same functionality; email automation, lead nurture journey mapping, social media marketing, CRM integration, and so on. Even if you’re already using Salesforce CRM and you know you want to stick with them as you expand into the automation world, it can make the job of deciding on the best marketing automation software for your business quite tricky.  Pardot vs Marketing Cloud, so what’s the difference? The main difference is the buying cycle. Smaller databases with higher value sales would be better targeted via Pardot and larger databases with smaller value sales would do better with Marketing Cloud. As the two do not directly compete in terms of their ideal audience, one is not necessarily better than the other. In fact, their use cases are noticeably different. 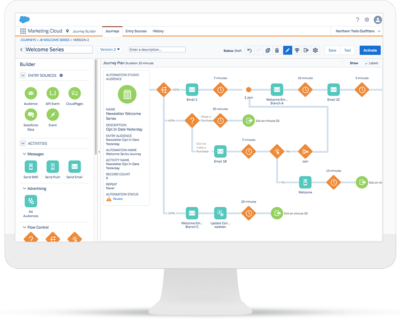 You might say that Pardot is the clear B2B marketing automation solution, while Salesforce Marketing Cloud is for B2C companies. This is somewhat true, as Pardot is positioned for B2B marketing specifically and, therefore, its strengths lie in the areas of marketing and sales alignment, lead management and automated actions, as well as marketing campaigns. Marketing Cloud, on the other hand, offers greater capabilities when it comes to social media marketing and advertising, plus SMS campaigns. Naturally, these types of activities tend to be a bigger focus for B2C brands who communicate one-to-one via social or using transactional mobile messaging. However, there is no rule that says B2C companies cannot benefit from Pardot as their chosen marketing automation platform, and likewise, B2B companies with Marketing Cloud. Depending on your business, the digital channels you utilise for marketing, the size of your database, and what you need to achieve with your automation software, either could be appropriate. Salesforce Marketing Cloud is made up of a range of different modules. Each module focuses on one particular area of digital marketing. For example, you have Email Studio for sending batch and scheduled emails, MobileConnect for sending SMS campaigns, Social Studio for advanced social media marketing, Advertising Studio for running ad campaigns to your database, and Journey Builder for setting up a 1:1 customer journey across multiple communication channels, plus others. In my opinion, Social Studio and MobileConnect set it aside from Pardot quite clearly, as these are very clearly built to enable marketers who regularly communicate on these channels, with the ability to pre-schedule and automate this activity. 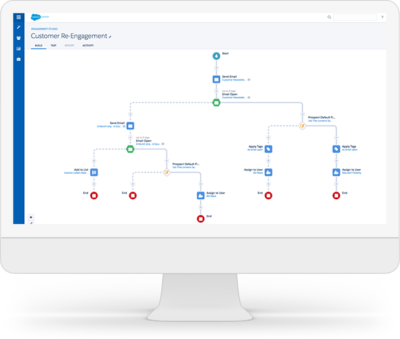 With Pardot, you won’t find as much focus on these engagement and transactional style channels. If you have a long sales cycle, you close business directly through a sales team (as opposed to on your website or in-store), or you have a high sales value product or service and a smaller database of prospective customers, Pardot is likely to be your preferred automation solution. This is because the functionality of Pardot allows for excellent lead nurture. 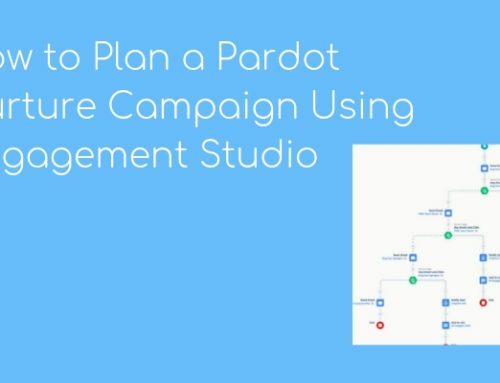 Whilst it has email automation in the same way Marketing Cloud does, Pardot has a more advanced ability to easily create drip marketing campaigns that are highly personalised, using website behaviour and interactions as the triggers. Pardot also features sophisticated automation for assigning leads to users of the platform, based on intelligent lead grading and scoring. What’s more, you can set up automated notifications when leads are active on site, a functionality you won’t find in Marketing Cloud. With these differences in mind, Marketing Cloud makes for the best choice if your business needs a platform to more easily engage with customers across multiple channels and assist in their customer journey. Those in the retail or FMCG industries are likely to see great benefit in the features of Marketing Cloud. On the other hand, Pardot is the right option if your sales process requires long-term nurture and you need to bridge the gap between your sales and marketing teams. Those with products of high-sales value or with long sales cycles will benefit most from Pardot. As Pardot consultants, we are hands-on with the platform every day. If you’re still not sure whether Pardot is right for your business, request a demo of the system with us and we can talk through your concerns and queries.